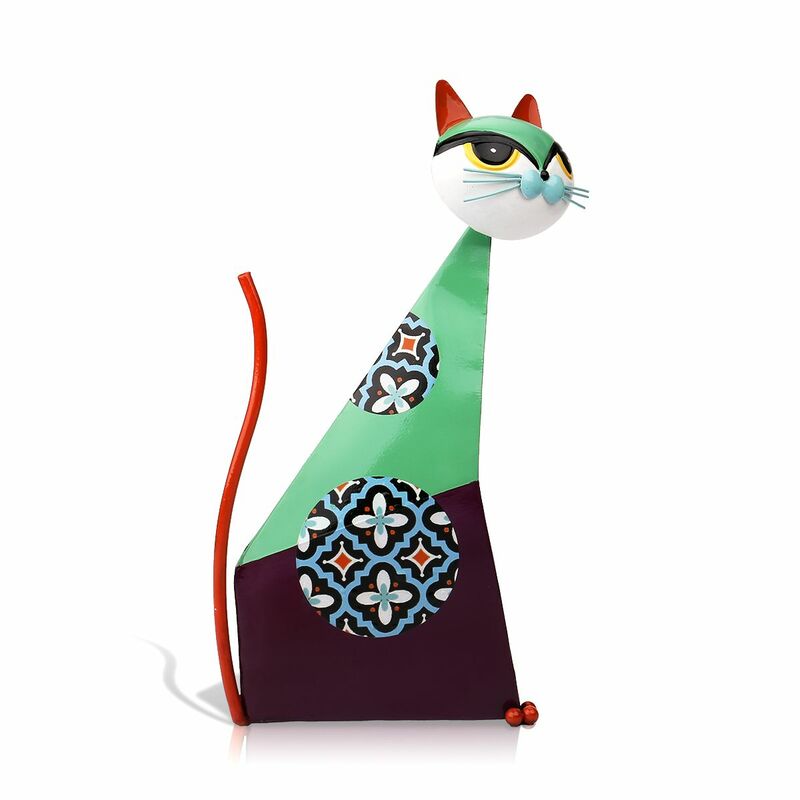 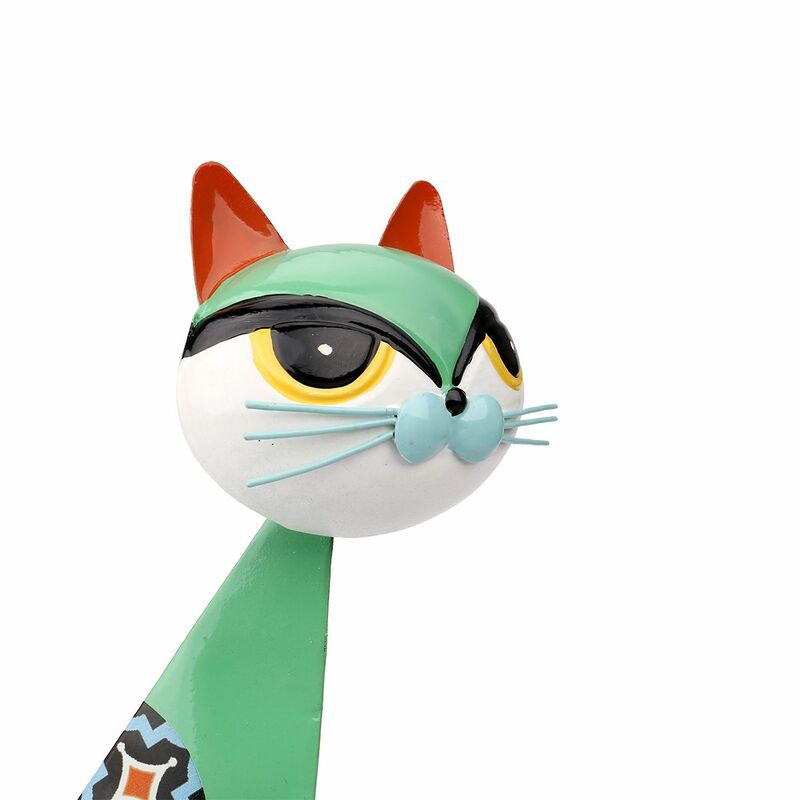 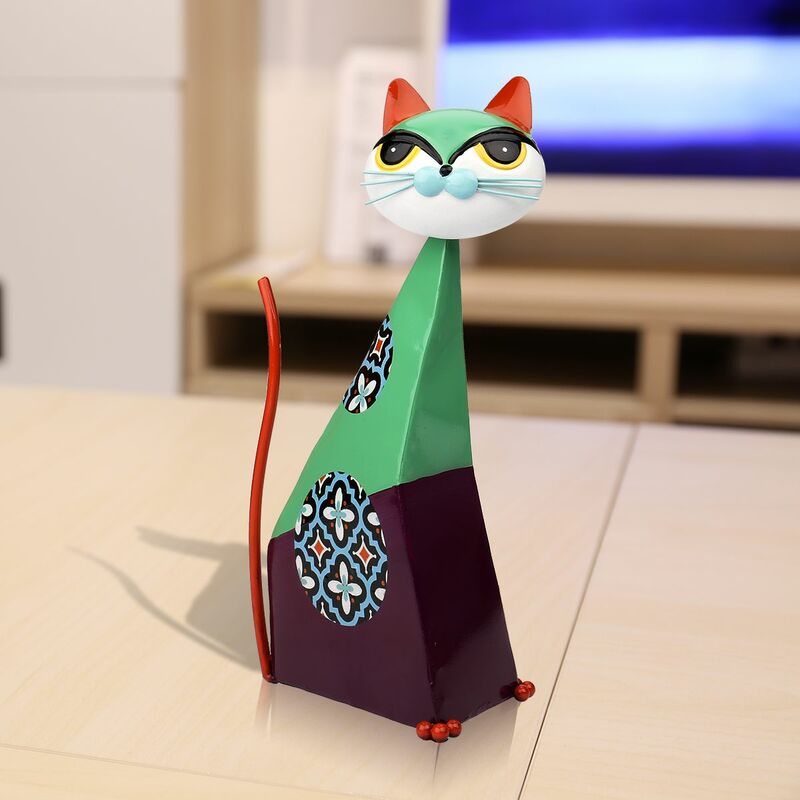 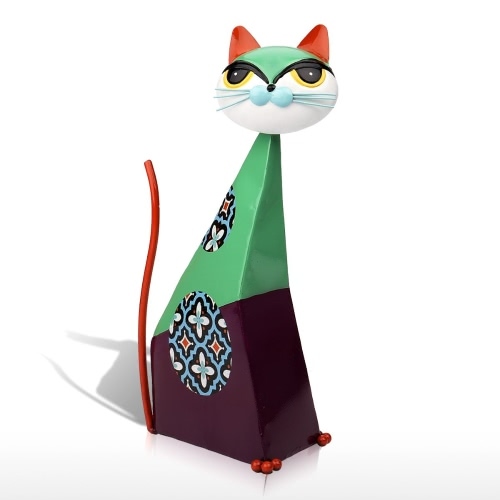 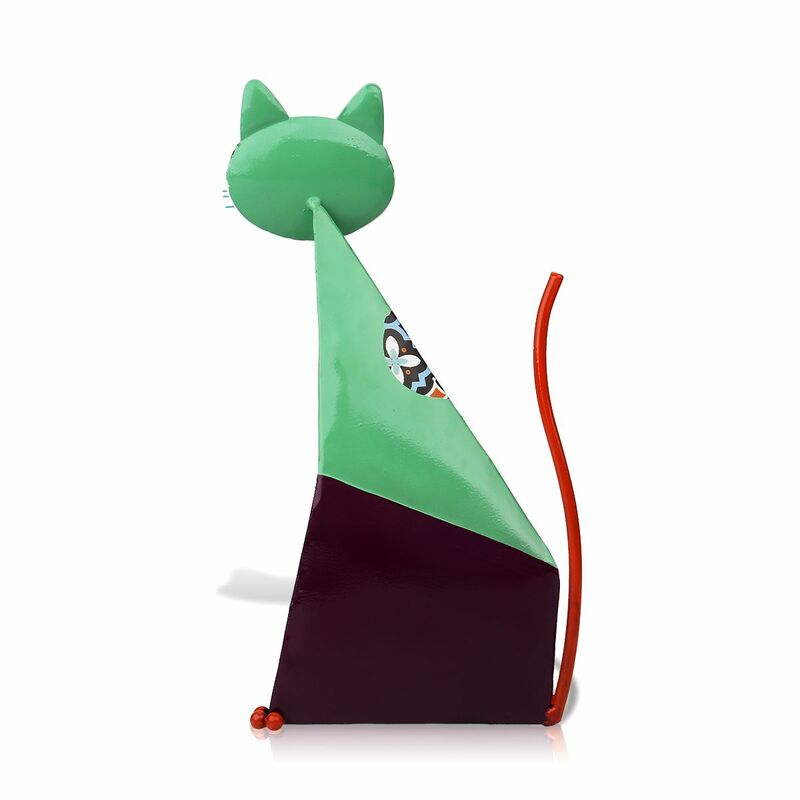 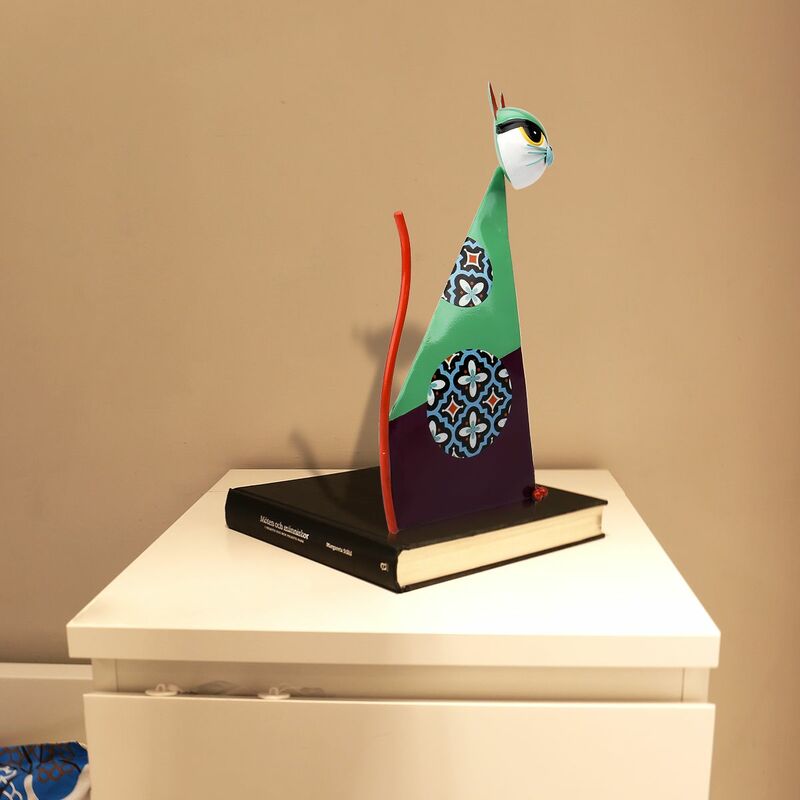 This is a cute creative iron sculpture that contains the unique originality of artist: a kind of abstract beauty created by the round cat head and the triangle body, a kind of decoration beauty created by the color blocks and the pattern on body. 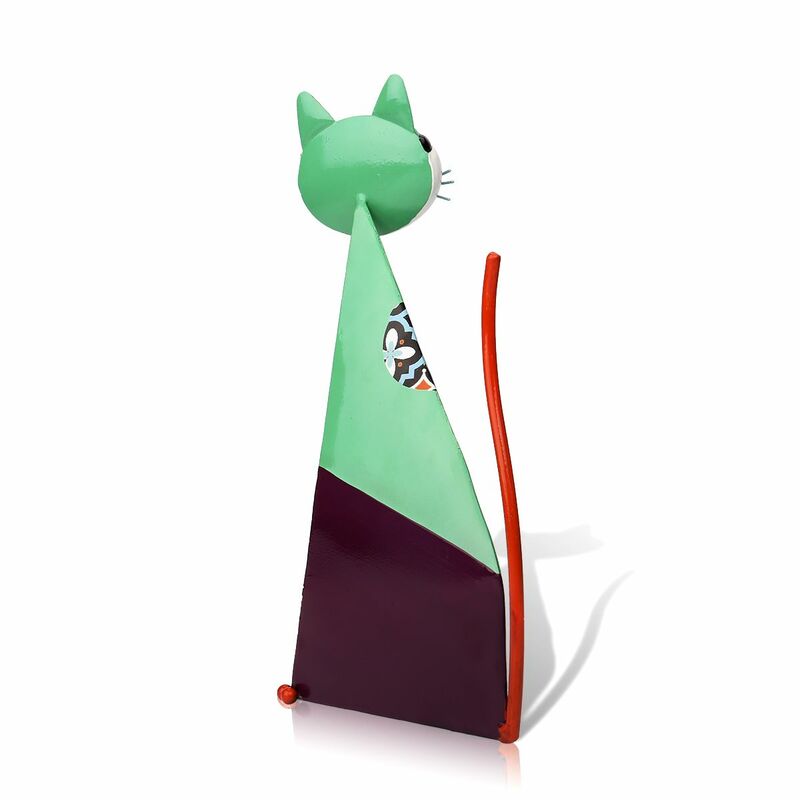 Through welding, freehand and varnish baking, it is stainless and fadeless. 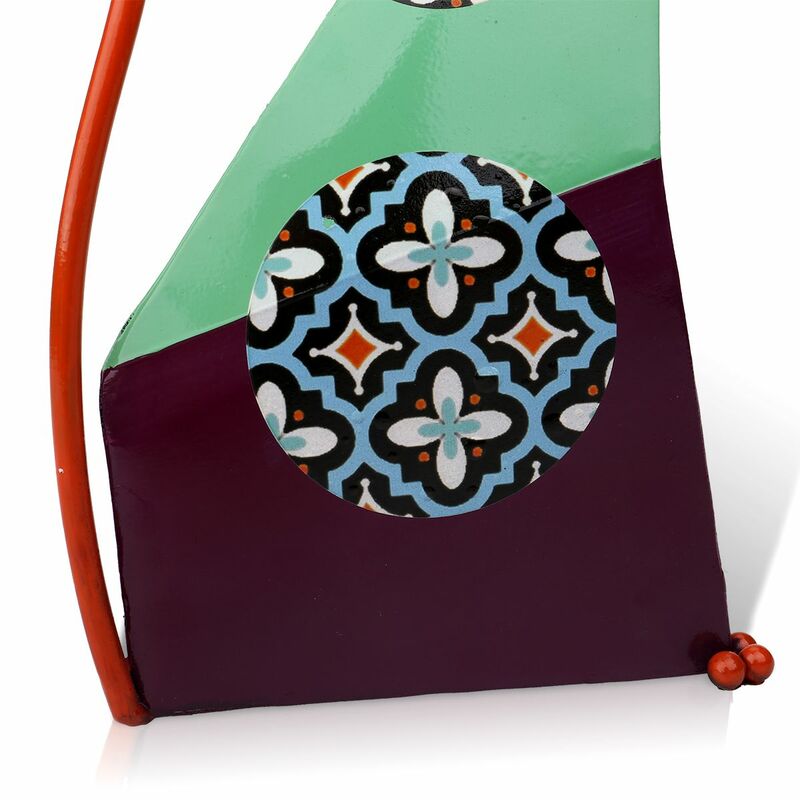 No matter you put it in the study room or living room, it will bring your house gorgeous colors. 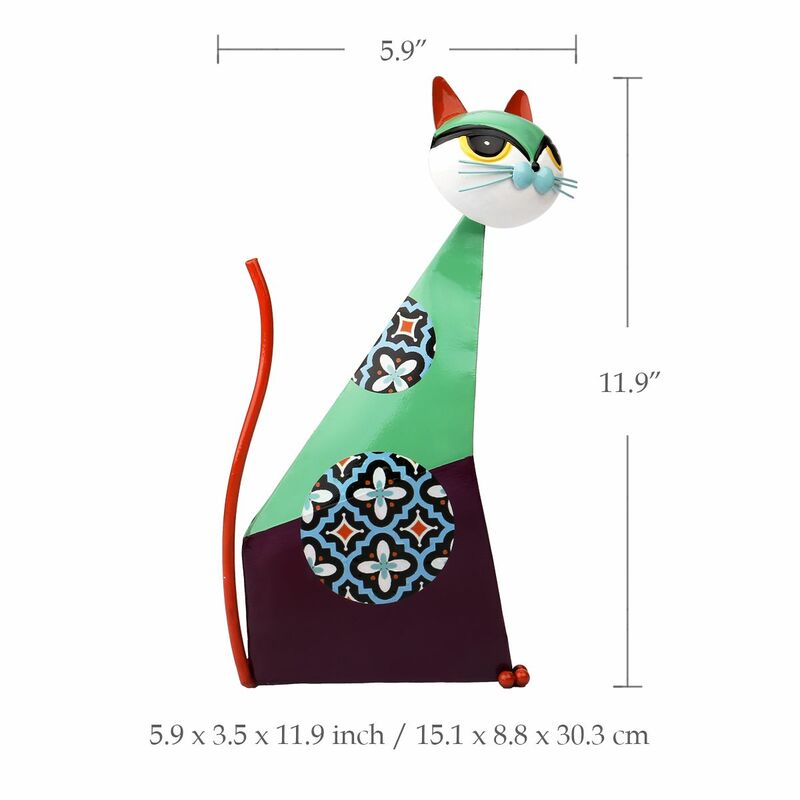 Suitable for room decoration like the living room, study room, etc.